From Pastor Foley–Blistering prophetic denunciations of church hypocrisy seem to be all the rage (literally) in the Christian blogosphere these days; however, I become more and more convicted over time that I should direct all my blistering prophetic denunciations of hypocrisy only at myself while instead seeking to fan into flame any wicks of hope I see smoldering within the ecclesia these days. To that end, let me note the Ministry With The Poor site being operated by the United Methodist Church. Do I like everything on the site? No, not so much. But I love the preposition in the title (“With” rather than “To”), as well as a lot of what Bishop (retired) and Duke Divinity professor emeritus Kenneth Carder wrote last month on the site in his post entitled The Most Neglected Spiritual Discipline. One discipline mandated in Scripture and faithfully practiced by John Wesley rarely appears in lists of required spiritual disciplines. It is, in my opinion, the most neglected act of devotion among contemporary United Methodists. In fact, few even consider it a necessary mark of spiritual wellbeing. Without it, however, the other disciplines lack power and authenticity. The practice most disregarded by present-day United Methodists in America is visitation and friendship with the poor. Although the Bible clearly includes acts of mercy and justice toward the poor as indispensable components of faithfulness to God, many of us have little contact with the poor beyond almsgiving. Visiting with “the widow and orphan,” ministering with “the least of these,” and engaging with public policy decisions affecting the poor are largely left to agencies, hired employees, and elected representatives. Yet, we can no more delegate relationships with the poor to others than we can attain spiritual maturity by designating another to read the Bible or pray or attend worship for us. John Wesley definitely considered ongoing relationships with the poor essential to Christian discipleship. He would no more neglect regular visits with the poor than he would abandon daily searching the Scriptures or persistent prayer. Historians document Wesley’s practice of eating with the poor, sleeping in their humble abodes, and providing holistic services to them. His friendships with the poor helped to shape the Wesleyan revival; and the poor were vital members and leaders of the classes, bands, and societies. As I note in the Whole Life Offering, Wesley once said that the reason why rich people don’t care much for the poor is that they don’t spend a lot of relational time with them. And relational time, as Carder notes, means something other than time spent “serving” them. Especially in this month of focus on sharing our bread, let “service” mean nothing more or less to us than “pass the jam, please” as we eat around a common table with our brothers and sisters whose acquaintance we tragically have yet to make. 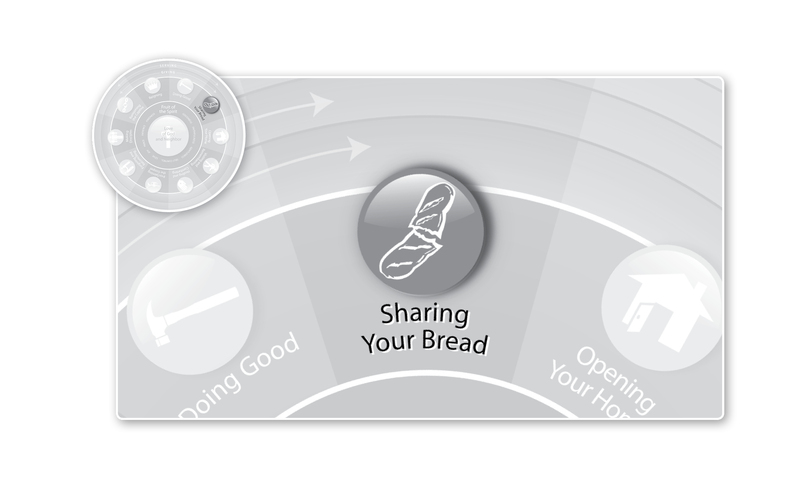 This entry was posted in Sharing Your Bread and tagged ministry with the poor, United Methodist, Wesley, Wesleyan. Bookmark the permalink. Good to hear from you, Meredith. Do keep in touch.